This Combo Tour will allow you to see three important sites in one day! 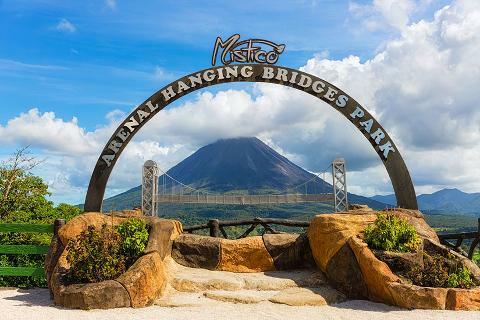 The Arenal Hanging Bridges are a beautiful, environmentally friendly project located near the Arenal Volcano. 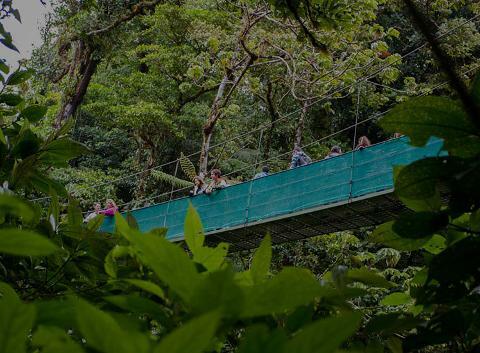 The trails span a total of 2 miles, allowing you to see the rainforest from a bird’s perspective! 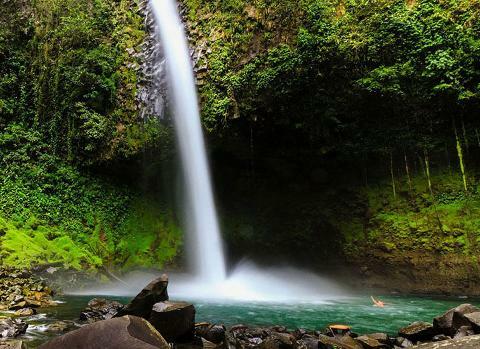 After your adventure on the hanging bridges, you will head to the La Fortuna Waterfall! When you reach the entrance, you will have time to change into your bathing suit in case you want to cool off under the waterfall. This is sure to be a good workout as there are 300 steps to get to the down to the waterfall, and 300 to get back up! When you reach the bottom, you'll have an opportunity to take lots of pictures and swim in the cool waters of one of the largest and most breathtaking waterfalls in Arenal! This is the perfect way to relax and refuel before heading on your next hike to the Arenal Volcano National Park! 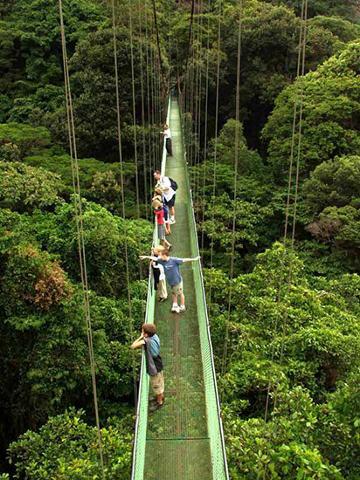 This National Park is one of the most visited parks in all of Central America. The trails are generally flat and not very strenuous -- perfect for a leisurely and informative hike with one of our naturalist guides! 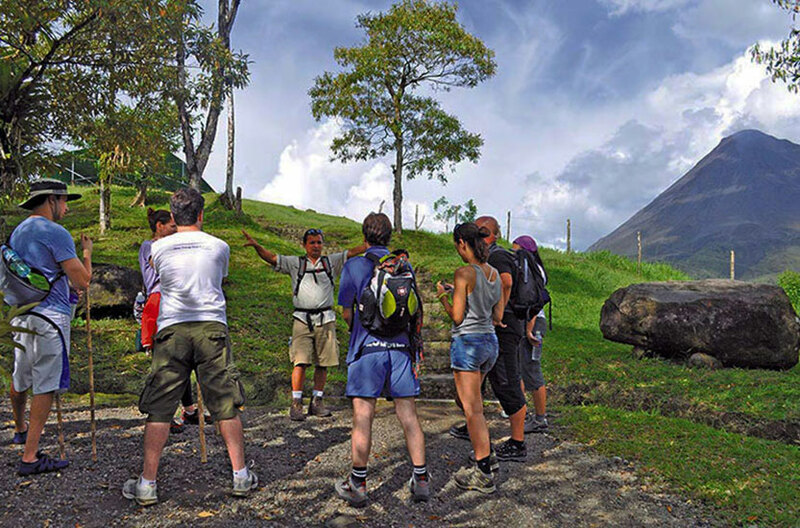 We’ll head through the jungle, hiking through well-groomed, easy trails that skirt the base of the Arenal Volcano. platforms you will see magnificent views of the impressive Arenal Volcano, the pristine Lake Arenal and the extinct volcano Cerro Chato!